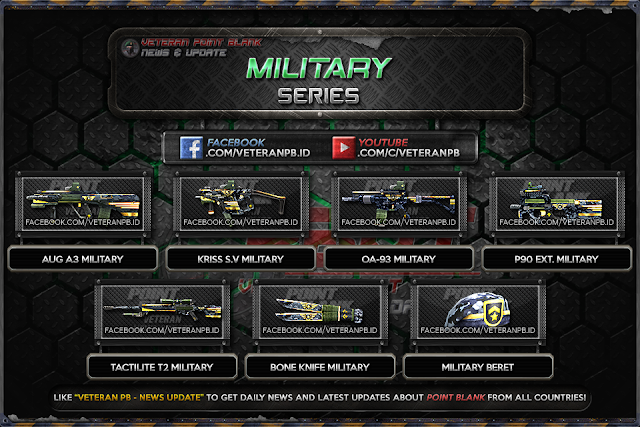 Hello everyone, at this time I will share about Military Series Point Blank Garena Indonesia (PBGI) for Counter Strike 1.6, Condition Zero, Counter Strike Point Blank, Counter Strike Revolution and Counter Strike Extreme. 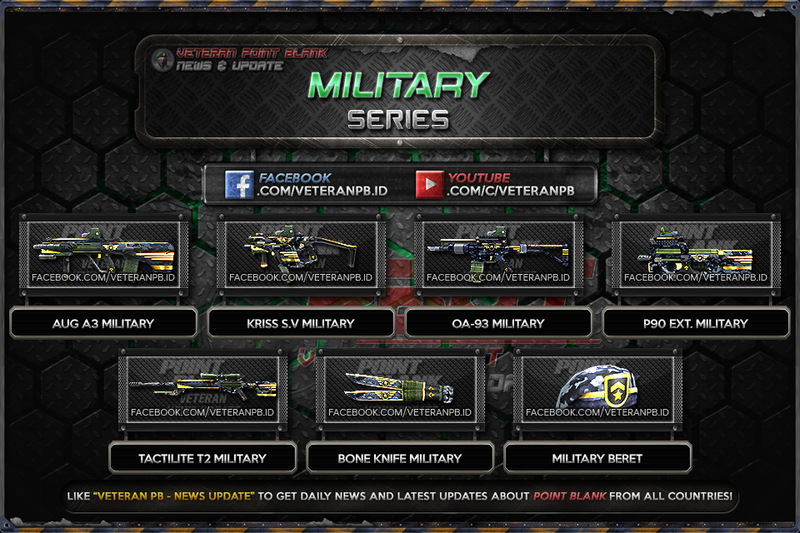 Military is one of the relic weapons from the most distinguished soldiers in CT-Force. It has a honor badge as well as the unit sticker of the soldier. Military adalah salah satu senjata peninggalan dari prajurit paling ternama di CT-Force. Memiliki tambahan aksesoris lencana kehormatan serta stiker satuan prajurit tersebut. Militar é uma das armas relíquia dos soldados mais distintos na CT-Force. Tem acessórios adicionais do emblema de honra, bem como o adesivo da unidade do soldado. Buat make barreet nya gimana ya di cs cz? ?